Please stay away from our hospitals and care homes if you’ve had sickness or diarrhoea in the last 48 hours because it’s affecting people’s ability to recover from serious illness. It is also important that people should avoid going to the emergency department at Royal Cornwall Hospital in Truro if they are able manage the symptoms themselves; you should still go to the emergency department if you need emergency medical attention, but please tell staff if you have diarrhoea or sickness symptoms. Outbreaks of Norovirus are common, particularly within hospitals, nursing homes and schools because it is easily spread between people and can survive for several days. 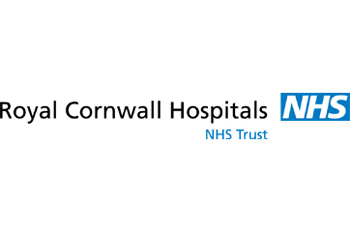 NHS Kernow’s Director for Clinical and Corporate Affairs Natalie Jones said: “We know some people feel under pressure to visit their loved ones in hospital or a care home, even if they’re also unwell. Norovirus is a nasty bug that spreads easily and can jeopardise people’s ability to recover from serious illness. Always clean your hands with soap and hot water when entering and leaving a hospital, nursing home or anywhere else where there are vulnerable people. Don't visit anyone in hospital if you have symptoms of Norovirus, including vomiting, diarrhoea, high temperature, aches and pains. Most people will make a full recovery within two to three days and should stay at home, take paracetamol to relieve fever and drink plenty of water to replace lost fluids. Make sure you have some rehydration sachets in your medicine cabinet. Seek medical attention if you start to feel dehydrated, particularly if you have a long-term condition or you are elderly. Stay away from work and hospitals/GP surgeries until you've been symptom-free for two days. NHS 111 can give you round-the-clock help and advice, as well as your local pharmacist. You can find out more about Norovirus and how to treat it on the NHS Choices website: www.nhs.uk/conditions/norovirus.